Updated Monday, May 1, 2017, 7:06 p.m. EDT: Balch Springs, Texas, Police Chief Jonathan Haber has retracted his earlier statement that the car in which Jordan Edwards, 15, was traveling Saturday night was “backing down the street toward officers in an aggressive manner,” which he initially claimed prompted a police officer to open fire with a rifle, fatally shooting Jordan in the head. During a news conference Monday afternoon, Haber said that he “misspoke” and that the vehicle, which was being driven by Jordan’s 16-year-old brother, was moving away from police officers when one of the officers, whose identity is still being protected, opened fire. 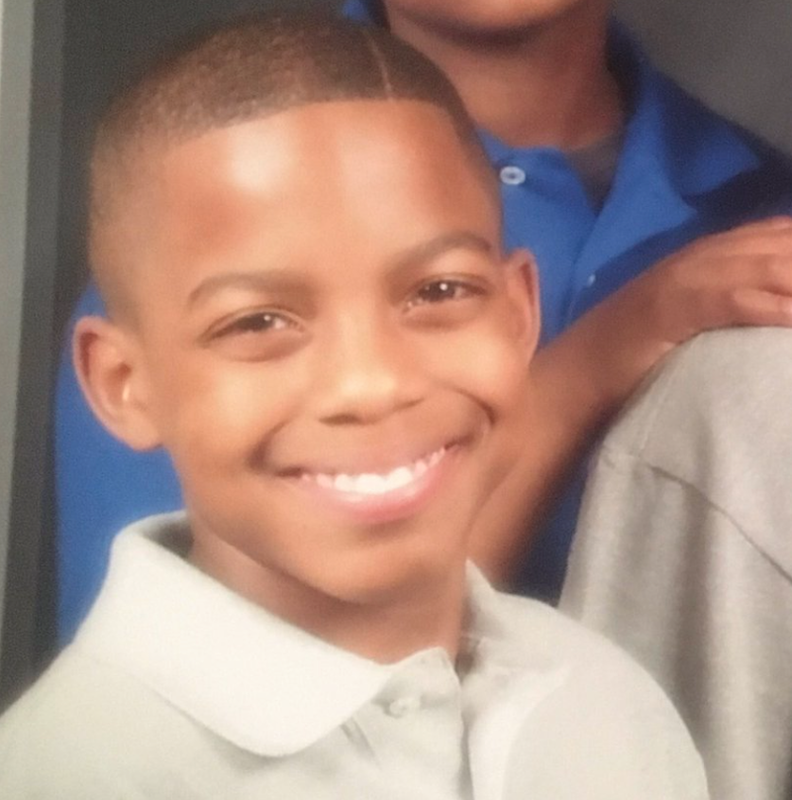 Updated Monday, May 1, 2017, 3:32 p.m. EDT: The Dallas County Medical Examiners Office has determined that a Balch Springs, Texas, police officer shot and killed Jordan Edwards, 15, with a rifle, the Dallas Morning News reports. Jordan’s death has been ruled a homicide, which does not mean that criminal charges will be filed. As previously reported by The Root, the Dallas County Sheriff’s Department is investigating the shooting. Mesquite ISD’s deepest sympathies and prayers are with the family and friends of this young man who tragically lost his life late Saturday evening. He was a good student who was very well liked by his teachers, coaches and his fellow students. The entire district—especially the staff and students of Mesquite High School—are mourning this terrible loss. He should not be dead. Period. Another day, another black child has been gunned down by a trigger-happy police officer, leaving another community enraged and another family in pain. This time, his name was Jordan Edwards. He was only 15 years old. According to attorney S. Lee Merritt, legal counsel for Jordan’s family, the teen was leaving a party Saturday night with friends after hearing gunshots. He was struck by the officer’s bullet through the passenger-side window of the vehicle in which he was traveling. Balch Springs Police Chief Jonathan Haber said officers heard gunshots as they were responding to a call of drunken teens about 11 p.m. in the 12300 block of Baron Drive. During an altercation, the vehicle backed down the road toward officers “in an aggressive manner,” Haber said. An officer fired at the vehicle and struck a passenger, who was then transported to the hospital and pronounced dead, Balch Springs police said in a prepared statement. Haber said he did not have any information about whether weapons were found in the vehicle. The Dallas County District Attorney’s Office and the Dallas County Sheriff’s Department have taken over the criminal investigation. According to Merritt, Jordan and his friends were not the allegedly intoxicated teens whom police officers were allegedly called to control. But that didn’t matter to the Balch Springs police officers, who clearly felt perfectly comfortable shooting into a car full of children. The four teens who survived the fatal encounter—including Jordan’s 16-year-old brother, who, according to Merritt, was behind the wheel—were not charged. Jordan was an honor roll freshman at Mesquite High School. His family is demanding justice, including that the police officer who killed Jordan be fired. Per usual, the cop who pulled the trigger is being allowed to hide behind his badge and gun and has not been identified. Be clear: There is not a white teenager in this country who has to fear being killed by police because he or she happened to be at a party where other teens were allegedly drinking. This is what occupying communities looks like. This is what the dehumanization of black children looks like. This is what state-sanctioned killers are allowed to do in communities where the children look like Jordan Edwards. This beautiful child should not be dead. And his killer should not be free.